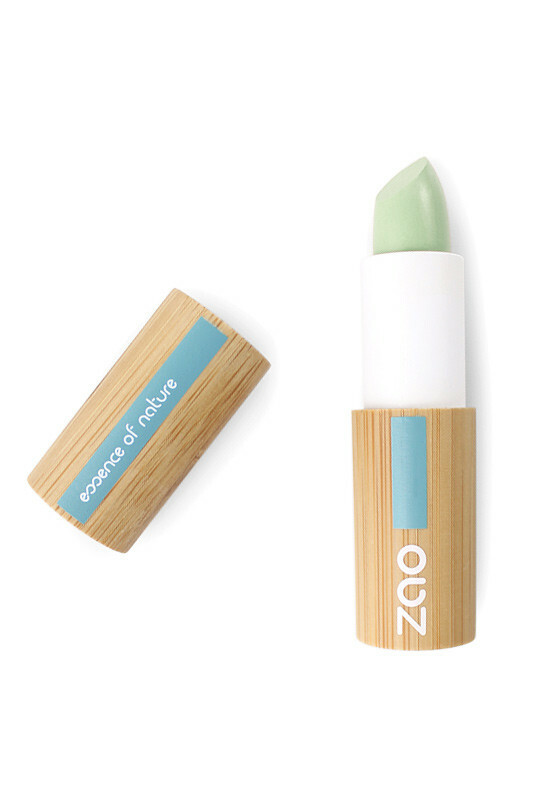 Thanks to its covering, creamy and light texture, the ZAO Vegan Green Concealer reduces redness and minimizes facial imperfections. Its stick format is easily applicable and transportable, allowing retouching at any time of the day. With Zao Anti-Redness Corrector Stick, your face is brighter! Between craftsmanship and modernity, the varnished bamboo case is offered with refinement and originality in a cotton pouch to better protect this case. The products in the ZAO range are particularly suitable for gift ideas thanks to their superb presentation and the fun nature of the refills. 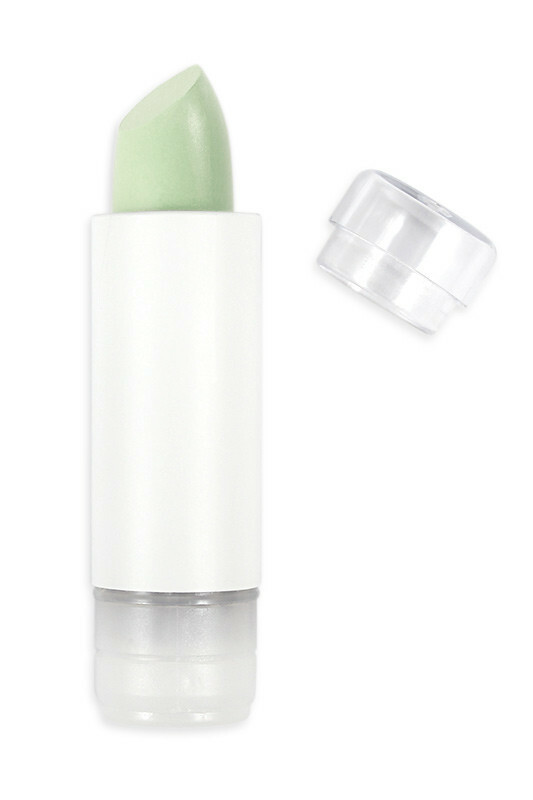 Stop to redness imperfections with ZAO Green Corrector! On perfectly clean and hydrated skin, apply Zao Green Correcteur on imperfections. Blend with your finger to melt the material, then apply your concealer and foundation. (INCI / CTFA) : OLEYL OLEATE, OLIVE OIL DECYL ESTERS, PERSEA GRATISSIMA OIL (PERSEA GRATISSIMA (AVOCADO) OIL)*, SILICA, COPERNICIA CERIFERA CERA (COPERNICIA CERIFERA (CARNAUBA) WAX)*, CERA ALBA (BEESWAX)*, ORBIGNYA OLEIFERA SEED OIL (ORBIGNYA OLEIFERA (BABASSU) SEED OIL)*, SQUALENE, TOCOPHEROL, PARFUM (FRAGRANCE), BAMBUSA ARUNDINACEA STEM POWDER, CI 77820 (SILVER), ALOE BARBADENSIS LEAF EXTRACT, MELALEUCA ALTERNIFOLIA LEAF OIL (MELALEUCA ALTERNIFOLIA (TEA TREE) LEAF OIL)*, AQUA (WATER), GINKGO BILOBA LEAF EXTRACT, ALCOHOL. MAY CONTAIN +/- CI 77891 (TITANIUM DIOXIDE), CI 77491 (IRON OXIDES), CI 77492 (IRON OXIDES), CI 77499 (IRON OXIDES), CI 77288 (CHROMIUM OXIDE GREEN).